Alexander Lukashenka states that the West 2017 drills proved successful and that attempts to discredit them were extremely unprofessional. According to the Belarusian MFA, a block mentality must become a thing of the past; the country refuses to make a choice between East and West. Belarus is about to become the largest potash producer in the world. The government is in the final stages of preparing laws aimed at developing entrepreneurship. The EBRD claims it has reached a ‘strategic level of cooperation’ with Belarus and is considering new investment projects. On 20 September the joint Belarusian-Russian strategic exercises West-2017 came to an end. Alexander Lukashenka was personally in charge of the final stages of the event and later answered journalists’ questions, published by Belarus Segodnia. According to him, the exercises have achieved the goals they set out. Both the armed forces and the territorial defence system of the country were improved. 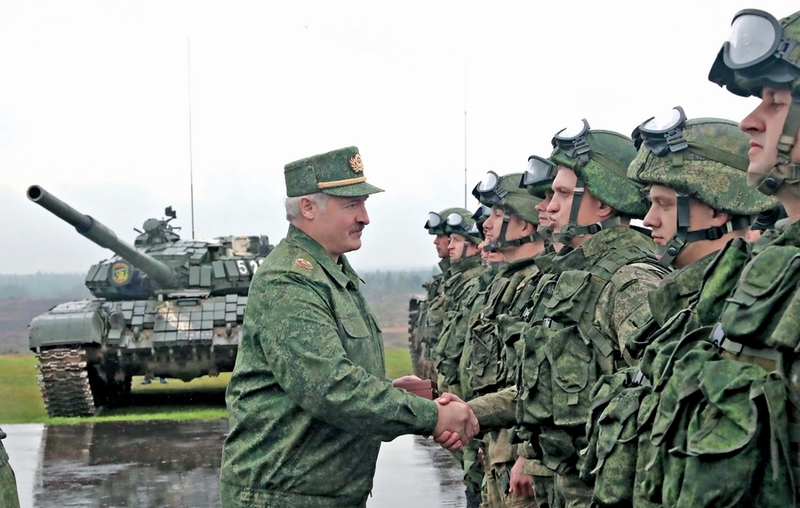 As for speculations that Russian troops would stay in Belarus after the exercise ends, Lukashenka promised he would gladly comment on this after all the troops return to their places of permanent deployment. Yet it is already clear that this attempt to discredit the exercises was extremely unprofessional. Belarus calls for a union from Lisbon to Vladivostok. Narodnaja Hazieta quotes a speech by Belarusian deputy foreign minister Alieh Kraŭčanka at the Minsk Dialogue conference dedicated to the future of the Eastern Partnership. The fact that Belarus maintains a strategic alliance with Russia does not mean that it is avoiding developing relations with the European Union and the United States. This block mentality must become a thing of the past; the country refuses to choose between East and West. The EU and the EEA should begin technical dialogue aimed at harmonising standards and solving existing problems. After a summit in Brussels in November, Belarus expects a more pragmatic Eastern Partnership, by which it means better access to European markets, simplification of customs relations, and further development of infrastructure facilities. The Second European Games will give a ‘powerful ideological impulse to Belarusian society’. The largest sports event in the history of Belarus will take place on 21-30 June 2019, reports Narodnaja Hazieta. Preparations for the event include significant development of sports infrastructure: development of Dynamo stadium, which will turn into a multifunctional complex, a new building for the Republican Scientific and Practical Sports Centre, the Centre of Gymnastics and a multi-field game gym, and a new 25-level dormitory in the Student Village. The government is in the final stages of preparing laws aimed at developing entrepreneurship among citizens. The government will submit a total of 10 documents for the President’s consideration by 1 October, reports Belarus Segodnia. These documents seek to promote self-employment and improve living conditions in small and medium-sized settlements. Alexander Lukashenka recently met with the country’s ministers to discuss the first three laws; he generally approved them. These laws would go far to facilitate the process of opening and managing businesses. In particular, they would expand the list of businesses that citizens can open without registration, paying only a single tax. Belarus will soon become the largest potash producer in the world. Currently, the state-owned potash company Belaruskali is working on the construction of two mining and processing plants, called Petrykaŭ and Liubań, along with the currently operating Starobin plant. The company estimates the volume of potash at the Petrykaŭ deposit to be 2.2 billion tonnes, writes Respublika. This will be enough for production of 1.5 million tonnes yearly for about 90 years. After the commission of the new ore-dressing plants, Belarus will become the largest potash producer in the world. According to Ivan Halavaty, following the break with the Russian company Uralkali in 2013, Belaruskali and the Belarusian Potash Company gained prestige among buyers and producers worldwide. ‘They are self-sufficient companies that can carry out their activities independently. Therefore, I do not consider a new alliance with the Russian company necessary’, he said. EBRD has reached a ‘strategic level of cooperation’ with Belarus. Aliaksandr Lukashenka met with the President of the European Bank of Reconstruction and Development, Suma Chakrabarti, to discuss the EBRD strategy for Belarus for 2016-2019. It includes expansion of operations in the public sector and assistance in the implementation of infrastructure projects. The EBRD could participate in the organisation of the southern transport corridor in Belarus. The Bank already has experience in supporting road construction projects, one of which is the modernisation of the Hrodna-Minsk highway. Now, the Belarusian government is discussing the construction of a wider highway in the south of the country to attract commodity flows from China, Central Asia, and Russia. In the near future, the bank plans to invest up to €200m in Belarus and, in particular, to become a shareholder in Belinvestbank. Police advocates restriction of alcohol sale hours. The Ministry of Internal Affairs wants to ban the sale of alcohol at night not (in stores only), but also at gas stations, writes Sielskaja Hazieta. Alieh Karasej, Head of the Department of Prevention of the Ministry, recently revealed sad statistical findings: 80% percent of murders and incidences of grievous bodily harm are committed in a state of intoxication. Family members and relatives of alcoholics are the primary victims. However, compared to figures from ten years ago, the situation today has improved somewhat. Previously, 300 relatives of alcohol abusers perished annually, while today the number stands at about one hundred. Belarus sees a significant shift towards exports of raw materials over the past two decades, especially in trade with the EU. Russia receives interest from loans to Belarus at twice the rate of investments in US debt obligations. Lukashenka meets with top security officials. On 5 September, President Alexander Lukashenka held a meeting with the Security Council, writes Zviazda. He inquired about the results of the season’s harvest, the problem of receivables, and the situation surrounding West-2017 exercises. Officials reported that harvesting went without major problems due to the good work of law enforcement bodies. Foreign distribution networks now owe more than $500m to Belarusian companies, and the government is now trying to find solutions to this problem. Regarding West-2017, Lukashenka stated that ‘We have a joint army group of Belarus and Russia pointed in the western direction and we need to train it to fight. But we are not going to attack anyone’. West 2017 military drill will be smaller that of NATO in Poland. 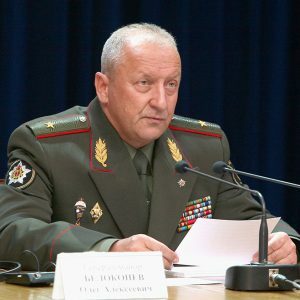 First Deputy Minister of Defence Alieh Bielakoneŭ revealed details of the West-2017 military exercises, which were published in Belarus Segodnia. In order to prevent tension in relations with neighbouring countries, the authorities chose to hold the drills far from the state border. The total number of military personnel involved will reach 12,700; the drills will also involve 370 armoured vehicles, up to 150 artillery units, multiple launch rocket systems, and more than 40 aircraft and helicopters. Bielakoneŭ noted that all major parameters of last year’s multinational NATO exercise, Anaconda-2016, exceeded those of West-2017. Furthermore, the upcoming NATO drill – Dragon 2017 – will be held in Poland in a month and will feature a total of about 17,000 soldiers. Despite these facts, Belarus does not accuse its neighbours of aggressive behaviour. Belarus wants to engage in extraction of Afghanistan natural resources. For most Belarusians, Afghanistan does not enjoy a positive image, and the official visit of Afghan Prime Minister Abdullah Abdullah to Belarus in August did not attract much public attention. However, an economic partnership with this state could be highly profitable, explains Narodnaja Hazieta. Afghanistan possesses natural wealth – mostly in the form of metals – worth almost a trillion dollars. However, due to the country’s mountainous desert terrain, absence of infrastructure, and lack of professional staff, extraction projects will require tens, if not hundreds of billions of dollars of investment. Belarus will not be able to compete with big players there and would do well to work in tandem with countries such as China or India. Belarus has become a raw material economy. Over the last six months Belarusian exports have increased by 19.4% compared to the same period in 2016, reports Respublika. However, growth occurred only due to services – mainly computer and transport – rather than goods: while goods gave a minus of $1bn, services brought a plus of $1.4bn. According to a study by the IPM Research Centre on the export performance of Belarus in 1998-2016, the country has seen a significant shift towards export of raw materials. 80% of exports to the EU consist of fuel, timber, chemical products and metals; even these exports are steadily declining. While in Belarus raw materials and consumer goods dominate exports (51% of total volume), in Hungary and the Czech Republic capital and intermediate goods account for 55% and 58% of sales to foreign markets. Russia repays Belarusian debt. Recently, the Russian government approved the allocation of a $700m loan to Belarus to repay a previous debt. Soyuz asked Russian analyst Kirill Koktysh what this would mean for the country. According to him, this is a regular debt restructuring. The fall in oil prices caused a decrease in export income in both Russia and Belarus, but due to the smaller size of the latter’s economy, Belarus took a greater hit. Finding new sources of income will take some time. For example, a significant increase in Belarusian agricultural production has become visible only now, although the government has been investing in it heavily for many years. Meanwhile, the credit history of Belarus remains flawless, and Russia received twice higher interest from loans to Belarus than the interest from the money invested in US debt obligations. Belarus needs a population strategy. In 2016, for the first time in 20 years, Belarus saw an increase in population. The country has one of the lowest levels of maternal and infant mortality rates in the world. However, about 63% of Belarusian families remain single-child families. However, for a nation’s population to grow, most families need to have three children. The number of women of childbearing age is decreasing, while teenagers dream of pleasure, career, travel, and high salaries rather than a large family. 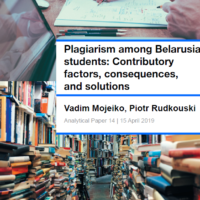 More than one hundred institutions provide assistance to mothers and children, and the state has developed a proper family support system, so now the government needs to gently correct the attitudes of young people towards reproduction, writes Belarus Segodnia. Minsk will become denser, but without major increase in malls and hotels. Andrej Šorac, the mayor of Minsk, told journalists at Belarus Segodnia about development plans for the Belarusian capital. The city will not be expanding outwardly, instead opting for infill: using empty, inefficiently used, and industrial areas inside the Minsk ring road. The mayor expressed scepticism about the future of the so called satellite towns around Minsk, which were supposed to attract city dwellers. Developers will not invest in them as long as possibilities to construct housing inside Minsk remain. The city has also approached its limit for retail trade zoning and hotels per capita. The idea of removing car traffic from the city centre and making it pedestrian should be considered carefully, as the Belarusian mentality requires comfortable and effective transportation. Nevertheless, some streets will certainly become restricted for cars, the mayor said.